'The Winds of Winter' release date: Jon Snow, Daenerys Targaryen to have a baby? Rumors are rife that two of the much-loved characters in the 'Game of Thrones' series are going to end up with each other. “Game of Thrones” season 7 ended with a blast earlier this week but George RR Martin managed to resist rushing the completion of “The Winds Of Winter” novel. The much-anticipated book has been delayed despite the veteran author’s desire to finish the sixth “A Song of Ice and Fire” installment before “GoT” season 6 started. Recently, the New Mexican writer teased the possibility of releasing the book next year. However, Martin remained fairly non-committal and claimed that he is still months away from completing the novel. On a July 22, 2017, blog post, George RR Martin revealed that he is still working on “The Winds of Winter” book. “I am still months away (how many? good question), I still have good days and bad days, and that's all I care to say,” the 68-year-old author wrote on LiveJournal. Martin also debunked the claims that he already finished the much-delayed book. He added that he is uncertain if “TWOT” or “Fire and Blood” would be published first. The veteran author previously confessed that he has been struggling writing “The Winds of Winter” due to several distractions. George RR Martin stated that his travels, blog posts, and age had an impact on the process. He went on to reveal that he failed to release “TWOT” before the “Game of Thrones” season 6 premiere. “The fewer the days, the greater the stress, and the slower the pace of my writing became,” Martin wrote in his blog post. Despite this, George RR Martin generously teased some previews for “The Winds of Winter” book. He even read four chapters about Barristan Selmy, Tyrion Lannister, Aeron "Damphair" Greyjoy and Victarion Greyjoy at different conventions. Meanwhile, Express claimed that Jon Snow and Daenerys Targaryen are going to tie the knot in “The Winds of Winter.” The news outlet even claimed that the couple will also have their first baby together. Alan Taylor, “Beyond the Wall” episode director, previously revealed Martin teased that Jon and Daenerys are going to end up with each other in the sixth book of the “A Song of Ice and Fire” series. 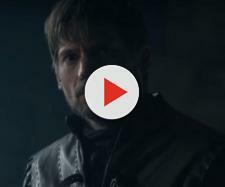 “So it wasn't clear to us at the time, but he did sort of say things that made it clear that the meeting and the convergence of Jon and Dany were sort of the point of the series,” he said. While these reports could possibly be true, it is important to note that George RR Martin has yet to confirm or deny these speculations. Therefore, avid fans of the “Game of Thrones” series should take these reports lightly until everything is proven true and correct. Stay tuned for more news and updates about “The Winds of Winter” book!